PHOTO: Scott Pedder has started strongly in WRC Portugal. ANDREAS Mikkelsen led Vodafone Rally de Portugal after winning Thursday evening’s opening super special stage in front of a massive crowd at Lousada circuit. 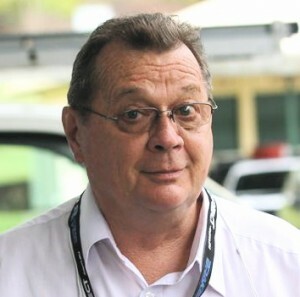 And Australian WRC2 debutant Scott Pedder, co-driven by Dale Moscatt in a Ford Fiesta R5, finished their first WRC stage 31st overall and 15th in WRC2. Mikkelsen outpaced teammates Sébastien Ogier and Jari-Matti Latvala as Volkswagen Motorsport secured a 1-2-3 with the Polo R in a carbon copy of the morning’s shakedown stage. Tens of thousands of fans packed the circuit to see the Norwegian defeat Elfyn Evans as two cars at-a-time tackled the mixed surface gravel and asphalt test. “It was great fun, a fantastic way to kick-off the rally,” Mikkelsen said. Mikkelsen was 0.5sec faster than Ogier, who beat Mads Østberg’s DS 3. Latvala was a further 0.3sec behind after beating Dani Sordo in a Hyundai i20. Robert Kubica, returning to the WRC after missing the previous round in Argentina, was fourth with Thierry Neuville and Kris Meeke completing the top six. 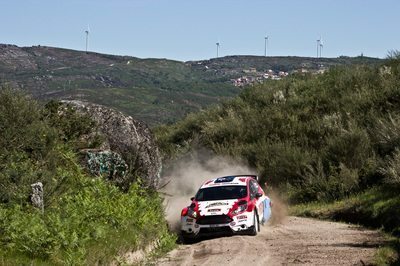 The rally restarts from Matosinhos, near Porto, on Friday morning for the first of three days of action. Drivers face two identical loops of three gravel stages covering 128.62km close to the Spanish border.